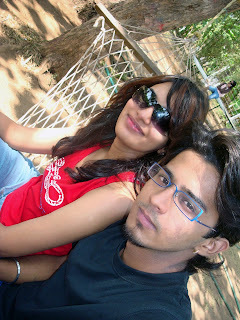 This incident was back in 2009 when me and my then boyfriend (now husband) had just started dating and had gone to Alibaug for a overnight trip with both his friends and mine. We were really excited about it because this was the first weekend getaway we had together. There were delays in us hitting the road, and we only reached the bungalow we had booked by dinner time. All of us had dinner as we were ravenous and ofcourse there was beer and wine. Taking selfies before the coin was termed! The next morning at Alibuag. Soon we were all in high spirits and all of us decided to go to the private beach which was just few minutes walk from the property. 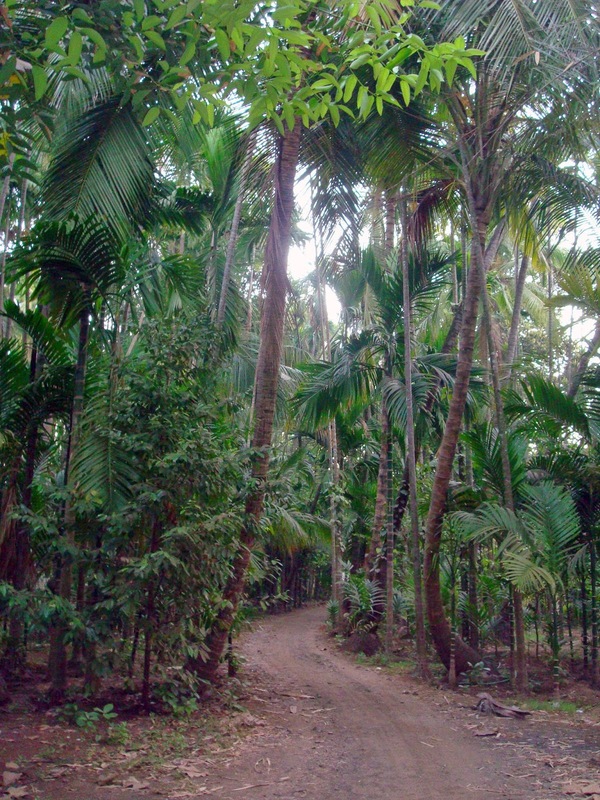 There was a very narrow path amidst the palm trees and wild plants that led to the beach. It was a beautiful night, with a cool breeze, no moon and only stars shining bright (Which we could see from here, unlike the polluted city where we can hardly see as many stars twinkling). We all were sitting and chatting, laughing and having a good time. Soon, me and Koshik decided to go for a walk and come. We were the newest couple in the group and were being teased right from the beginning of the trip. We kept walking, hand in hand, along the shore; talking about random things and nothingness, enjoying each other's company. We didn't even realise how far we walked. I suggested that we go back to the group, they'd probably be waiting up for us. We took a U-turn and started walking back. Now for some reason, we kept walking and walking but didn't find our friends. Or the way back to the bungalow. I tried calling my friends, but there was no network or mobile signal at the beach, on both our phones. We even tried shouting out their names, but there was absolute silence. Even if they would have tried calling us, they wouldn't get through coz of the network issue. The path that led to the beach, no wonder we got lost in the darkness. Normally, this would have been a tense situation, but I don't know why, we found it absolutely funny. We weren't scared or anxious, but were laughing out loud about the fact that we were lost on a beach! Who could've imagined that? We tried to make the way out with the limited light from our phones (we didn't have smartphones that came with flashlights back then, so had to make do with front screen's light). But we just couldn't find the way at all. After a while we simply gave up, I suggested to him that let's not exhaust the phone's draining battery too, and simply enjoy the beach all to ourselves. We stayed up all night, with the stars, and each other for company, and kept laughing about the fact that this just happened. I started feeling cold, and he took off his shirt and gave it to me (he was wearing a t-shirt beneath it of-course). We had the most amazing night, and it has become a memory that is etched in our heart forever, and is always something we remember nostalgically and laugh about and tell the story to our friends and family and laugh about it. Oh, you must be wondering what happened eventually. Around 5.30-6am the sun woke up from it's siesta and we could finally see around. The path back to the bungalow was just steps away from where we had made camp, so it was hilarious that we were so near, yet so far. Finally we went back to see all our friends fast asleep, and we freshened up and tired, but very happy, went to sleep ourselves. Later when we told them about what happened, they started teasing us with the name 'Honeymoon Travels Pvt. Ltd. In a country like India, vastu specialist is considered one of the basic requirements while constructing a property or building according to pre-specified principles. It is necessary to follow these principles for wealth, health, fame and prosperity in life. Though it has become difficult to follow each and every principle in the present era, it is important to make maximum use of tenets in order to achieve peace and harmony in life.